[toc]Rosacea is a painful skin disease that only affects adults. This disease causes redness in cheeks and other facial skin due to red pus filled small bumps. This disease can get worse with time if it is left untreated. This disease keeps recurring and the patients have to go through outbreaks of a varying degree over weeks and sometimes even months. This is combined with the period when there is n outbreak on the skin. There is no cure for this skin disease but you can certainly follow some home remedies to alleviate the symptoms and pain of it. You will have to completely take care of your skin when you are suffering from this disease. 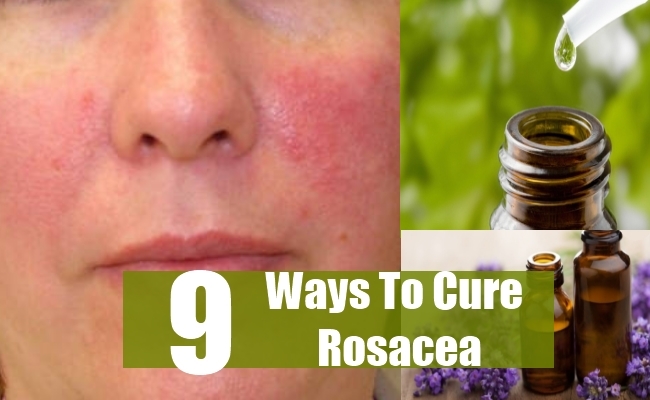 Below are some natural therapies that you can make use of to cure rosacea. You can apply green tea leaves on the affected area of your face. In the beginning you will have to cook the green tea leaves in water till the boiling point, strain the tea, you can always drink green tea and apply the soaked leaves layer by layer on your skin. This herb has an active compound namely eipgallocatechin that aids in reducing redness and inflammation of the affected areas. You will have to apply the soaked green tea leaves for forty minutes every day. 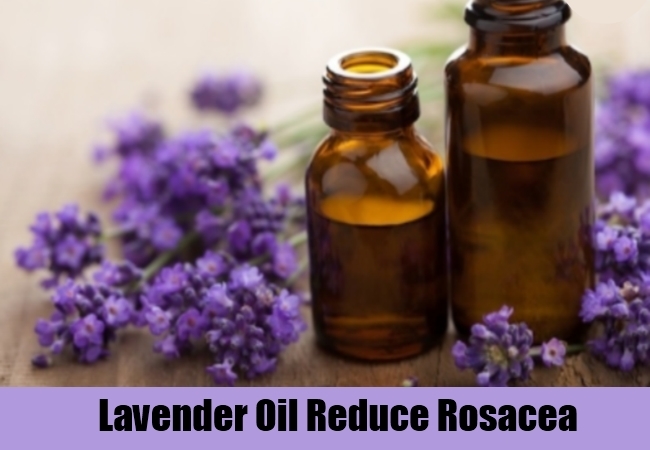 Lavender oil contains the natural alcohol linalool that aids in reducing the inflammation, pain and redness linked with this disease. Always cleanse your face properly before applying any ointment. Apply this oil generously on the affected areas of the face and keep massaging for 10 minutes avid contact with your eyes. Leave this oil for an hour and then rinse off gently. 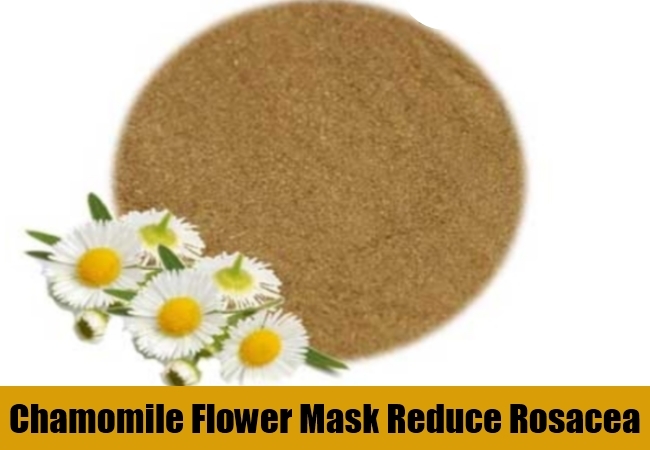 You can apply chamomile flower on your face. This flower has an active compound namely terpene bisabolol that helps in reducing pain, redness and swelling of the affected areas of the face. You will have to boil four cups of chamomile flowers and then allow it to stand for 2 hours. The flower petals will become really soft by this time. Drain the water and apply the flower petals on the face. Leave the petals on for 30 minutes. Later, you can peel off the petals and wash your face only after two hours. You must apply this mask daily for best results. 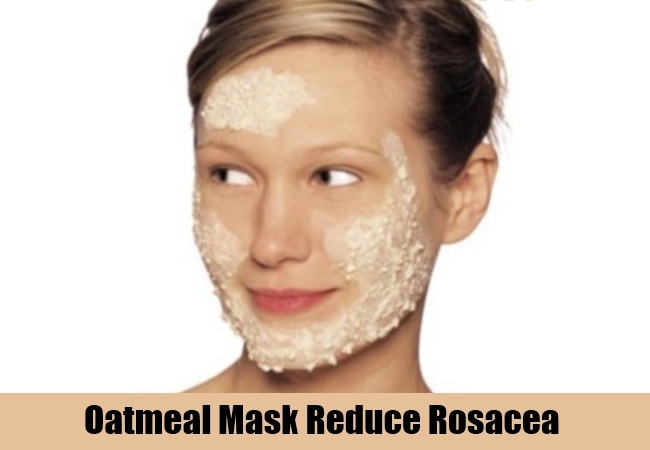 If you are suffering from rosacea then you can apply an oatmeal mixture on your face. Oatmeal has a high content of antioxidants which will help in soothing the itching, redness, inflammation, pain and dryness that is associated with this problem. You can make a bowl of oatmeal normally, as you would for your breakfast. Squeeze lemon juice in the mixture lemon has antibacterial properties and will be great if mixed with oatmeal. Apply the mask when it is still warm and leave it for 30 minutes. You must rinse gently and then pat dry the face. This is a very popular ingredient for all the skin diseases. This oil has an active compound namely terpinen-4-ol which is antibacterial agent and helps in the reduction of itching and inflammation of the affected region. Apply this oil on a properly cleansed face on all the affected areas just before you go to bed. Leave this oil for a whole night and wash it off gently and properly in morning. This is an ancient cleansing method where oil is used to clean the pores of a person’s face and get rid of the impurities from the face. 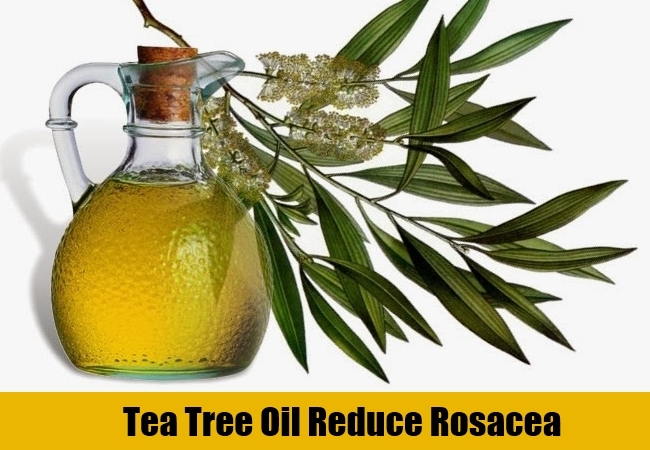 Rosacea is a very inflammatory disease and therefore using an oil to cleanse the face instead of a normal soap will only aid in reducing the amount of inflammation of the skin. You can mix ¼ teaspoon of castor oil with ½ teaspoon of olive oil. Use this mixture as a cleanser and clean your skin massaging in small circles. Soak a clean cloth in hot water and squeeze out the excess liquid. Lay this hot cloth over your face and breathe normally. The hot water steam will open your pores and eradicate all the impurities. You will have to wipe the excess oil from your face after the cloth becomes cool. Repeat the whole process three times till all the oil has been wiped off your face. 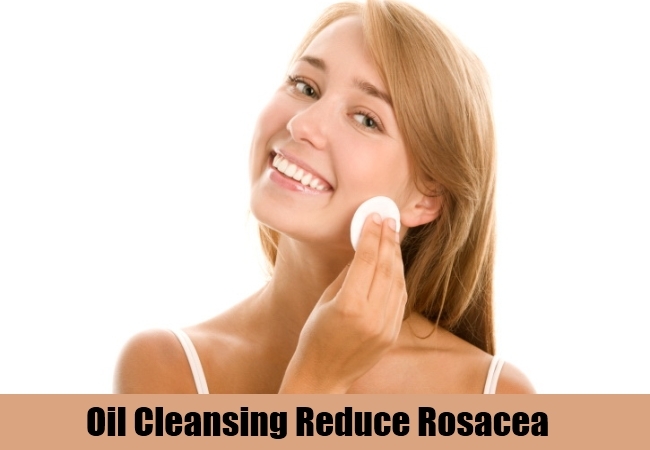 You can use oil cleansing method to heal rosacea up to three times a week. A human being’s surface of the skin is naturally acidic. There is a delicate acid layer on the skin that regulates the built up of oil production and also protects the skin from any infection. If your skin is facing a rosacea breakout then you will have to re-acidify the skin. 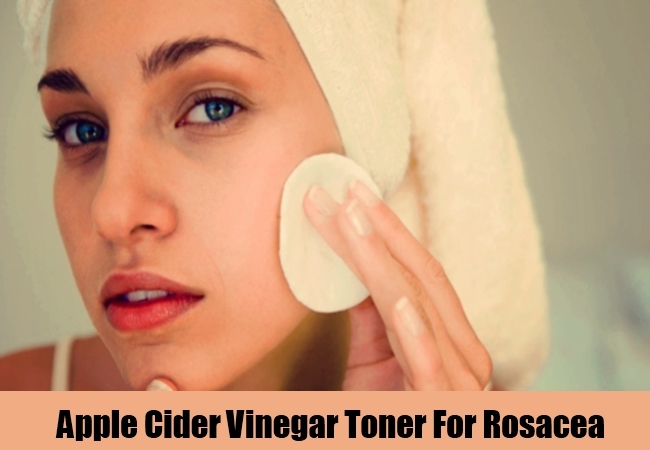 Make a toner out of the apple cider vinegar. Apple cider vinegar is highly acidic in nature and will add acid onto the surface of the skin reducing the redness and breakouts. Soak a cotton ball in the mixture of apple cider vinegar and water and apply it on your face liberally. The probiotics are good bacteria which aid in proper digestion of the food. The digestive system in our body can get populated with harmful bacteria that cause low immunity and other form of diseases. 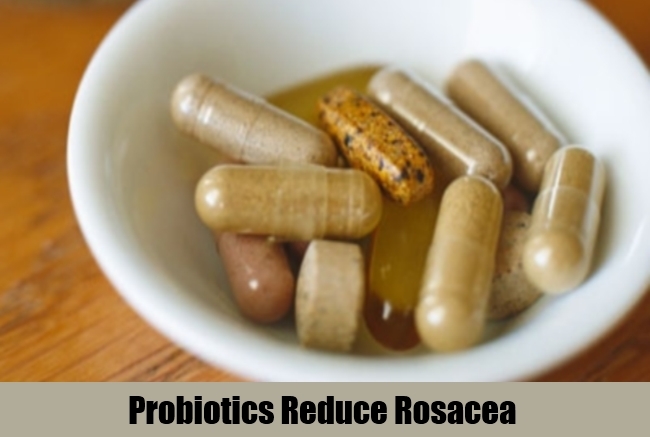 If you take a probiotic regularly then you introduce good bacteria into your digestive system. If your digestive system is working in a good manner then your body will be able to get rid of the impurities and toxins easily. This will reduce the general inflammation and help in increasing the immunity. 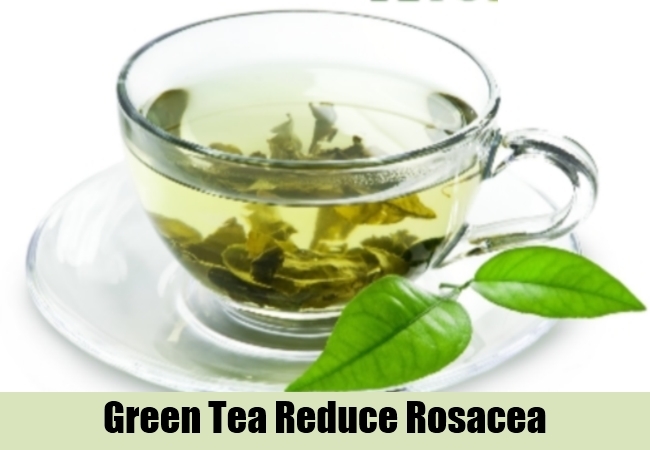 With an increased immunity the condition of rosacea will also improve. The fenugreek plant has been quite popular for its medicinal properties. The seeds of this plant become really important in the curries that we make. This ingredient is available at all health fod stores throughout your neighbourhood. 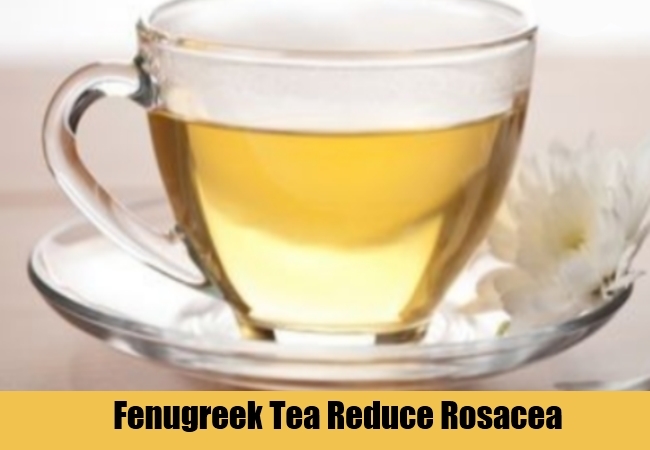 The fenugreek tea helps in alleviating the symptoms of rosacea. Soak 500 mg fenugreek seeds in 5 ounces of water for minimum three hours. Strain the seeds and drink the water.